Completely mechanical, refillable pencil. Non-scratching smooth plastic point. This marker, commonly referred to as a grease or china marker, will write on just about any surface, even under water. Writes on metal, glass, plastic. Markings on glossy surfaces are easily removed. Twist cap to advance lead. 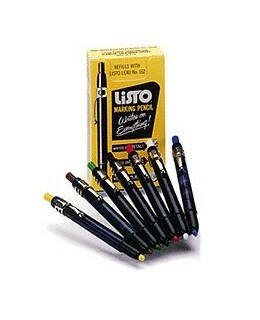 Lead color matches pencil tops. 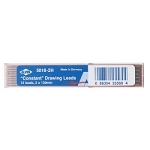 72 - 1" leads per refill pack. Marking pencils are refillable and sold in dozens only.